The videos below show me doing things that I’ve waited 12 years to do. The feeling was so surreal and felt like a dream. It was hard to wrap my mind around the fact that I was actually doing it. We had no idea that this setup would have these kind of results. I’m still not moving my left leg 100% independently, but it is a huge gain from someone having to move it for me. First off, I’ve never seen or knew a dog would stalk someone like that. I mean he literally followed and tracked that kid down without being provoked at all. But the awesome part of this video is that heroic cat! That was so cool that she protected the kid like it was one of her own. It shows she really does care. Way to go felines. Try not to let the length of this video deter you from watching it. This 5-foot-5 guy, Brandon Todd, is a great example of what can happen when you combine determination, dedication and dreams together. The strategy he used can be applied to many things, not just athletics. He wanted to accomplish something, so he did everything in his power, plus some to do so. I luckily stumbled upon this amazing Lee Jeffries photo pictured above. I have always thought there was something supremely beautiful and classic about black and white photography. So, as a huge fan of this format I was instantly drawn to this image. 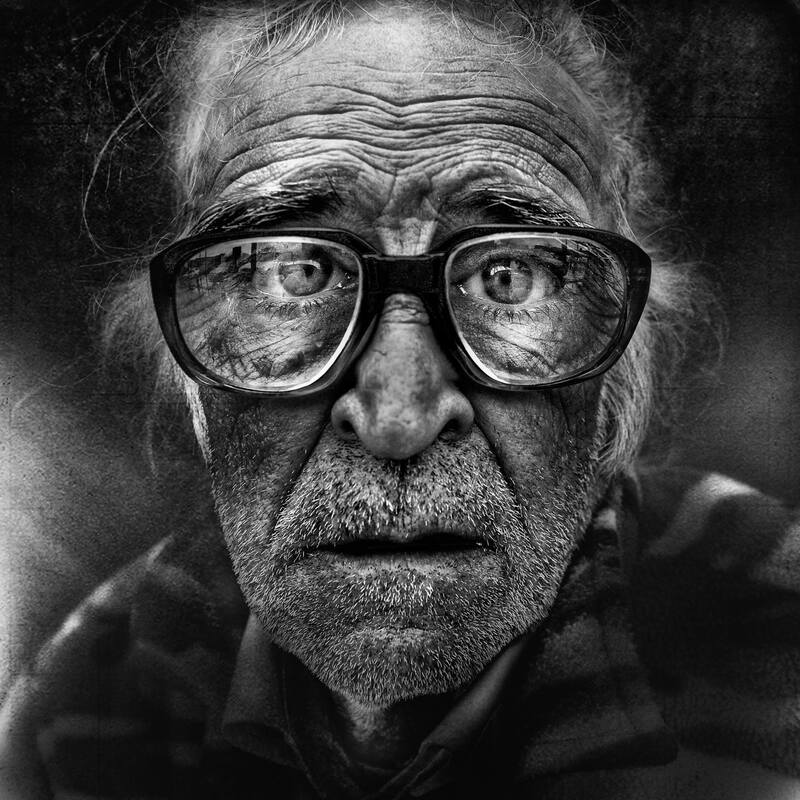 Lee Jeffries photographic journey began with a chance meeting with a young homeless girl in the streets of London. In 2008, the photographer was in London to run a marathon, and a day before the race he decided to wander the city to take pictures. This is when he aimed and focused his lens on a young, homeless woman. His actions were not warmly welcomed by the girl and she began shouting at him. But instead of just taking off, Jeffries chose to apologize for his perceived intrusion. The 18 year old then proceeded to share her story with him. After this encounter Jeffries about the homeless completely changes. Going forward he didn’t want to exploit these people or steal photographs of them. He also made sure he got to know his subjects prior to or while shooting them. Jeffries says, “I need to see some kind of emotion in my subjects. I specifically look at people’s eyes—when I see it, I recognize it and feel it—and I repeat the process over and over again.” He tried to keep the contact as informal as possible by rarely taking notes, and prefers to take pictures while he is talking with his subjects to capture the “real emotion” in them. Self-taught and self-funded, Jeffries has used vacation time to travel to Skid Row in Los Angeles three times, as well as Las Vegas, New York, London, Paris and Rome, to continue his project. He uses his photography to draw attention to and raise funds for the homeless, posting the images to Flickr and entering the work into competitions. The proceeds from Jeffries’s Blurb book, which features homeless portraits, go to the Union Rescue Mission in Los Angeles and the photographer allows any charity to use his images free of charge. This Billboard Creates Drinkable Water From Existing Humidity! This is awesome! I love seeing technology being used for something as wonderful and useful as this. The billboard shown in this video is real and is Located in Lima, Peru. It literally creates water out of thin air by using a filtration system to convert humidity into 100s of gallons of life sustaining water. Like most of us did when we were bored in class, Jody Steel chose to doodle. However, instead of using her notebook she decided to use her leg as the canvas and create some mouth dropping leg art. Despite having no kind of formal training as an illustrator, Jodi’s dermal masterpieces look like the work of a seasoned artist and are sometimes mistaken as tattoos. And where you and I may have gotten scolded or punished for doodling in class, Jody was actually offered a job when one of the professors caught a glimpse of her leg art. A professor at Emerson College, in Boston, asked her to draw the illustrations for a ‘steam punk’ book called Steaming into a Victorian Future: A Steampunk Anthology.